Wasp Nest Removal Only £35. 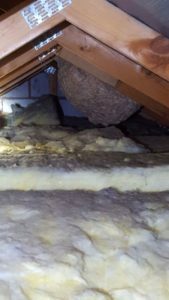 When you first discover the presence of a wasp nest in the home or business premises, it can be something of a traumatic experience. The initial thoughts are likely to be focused on the safety of the family or the workforce, and that’s why we offer a service of 24 hour pest control in Manchester that’s geared towards complete peace of mind. 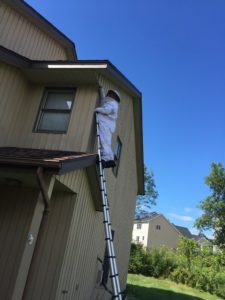 If there are children in the vicinity, or people with dangerous allergies, you will want to know that the situation is being handled by an experienced, knowledgeable professional, and that’s exactly what you will get with Manchester Exterminators’ wasp nest removal service. 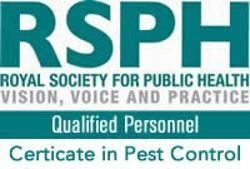 We have experienced professionals for wasp control in Manchester. When we arrive at your property first thing we do is to locate the wasps nest. 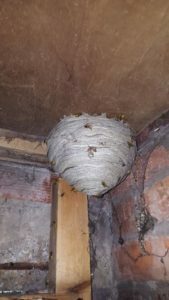 Usually you will see a constant flow of wasps coming from a hole in brickwork, air vent or fascia boards however you may also find them nesting in sheds, compost heaps, roof spaces and have been seen under the bases of children’s playhouses. Our wasp nest removal team will select the most appropriate form of treatment for the individual circumstances. We carry out a risk assessment before proceeding, with an emphasis on the safest strategy. In most cases we treat the wasp nest by applying a strong insecticide to the entrance to the nest. Wasps which have been outside will return to the nest bringing the insecticide in with them, an activity that will continue for only few hours. This fast, effective treatment is safe to pets and children inside the home. Activity in and around the nest will gradually die out to the point where there will be no sign of activity at all. That’s normally achieved within 24 hrs. This is a quick, clean method which has been used by our experts for many years. Once the nest’s inhabitants have all been killed, it will not be re-used by any wasps in the future and can be safely removed if needed at a later day. 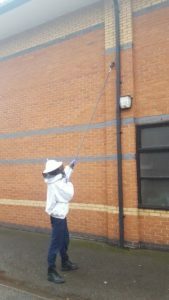 If you are looking for the services of wasp nest removal in Manchester, then you can contact us. Watch active wasp nest during treatment. Call your local wasp pest control team today for a rapid end to your problem! For more information or for a competitive quote call us today on 0161 637 0339.